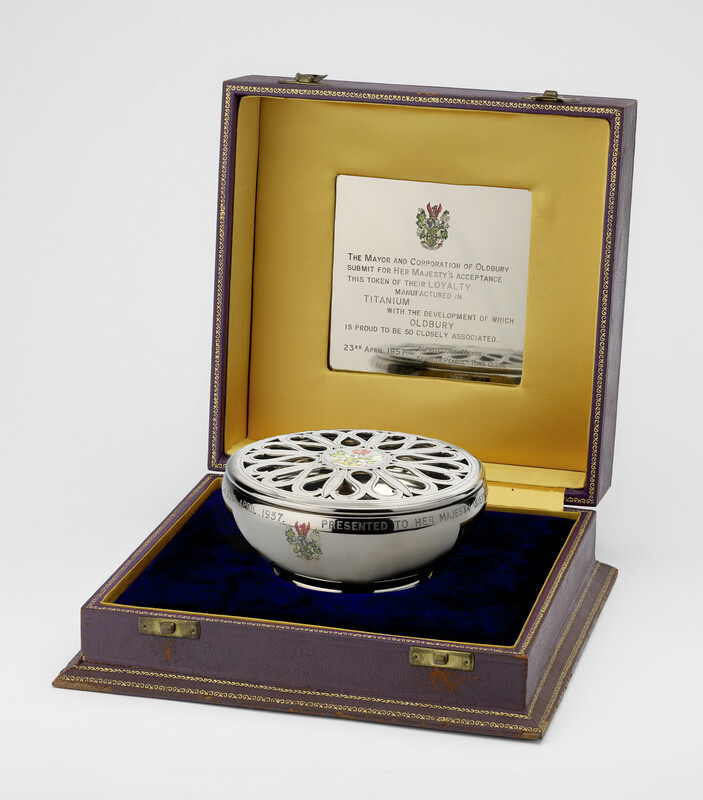 Titanium rosebowl with coloured cofa engraved at front with inscription around rim. Patterned lid pierced w holes and painted cofa in centre and engraved design. In wooden box w velvet lining.